Listen to the horse. Try to find out what the horse is trying to tell you. All we are trying to do is fix things up to where he can find them; then it’s the horse’s idea. 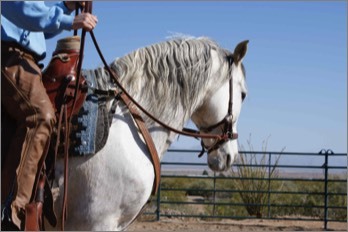 Shea’s principles of horsemanship are to give attention to the horse’s mind- how he feels at the moment, where his mind is, and how to offer the help he needs in order to be present and soft with his rider. She is also committed to what works for the horse physically. A horse should never be damaged, harmed, or pushed beyond what he is capable of physically or mentally while he is being handled by a human. Shea does not believe in punishment, or the term “disrespectful”. Instead she offers a solid place for a horse to feel safe, and for a horse to trust. Clarity in requests, consistency in keeping the horse’s mind present, and understanding biomechanics is the foundation of Shea’s holistic approach to horsemanship. Shea has helped many horses overcome behavioral issues, and gave hope back to their owners who could then have the relationship that they have always dreamed of with their horse. Helping owners understand how to connect with their horse and be the beacon of light that the horse needs, is just as important as training the horse. 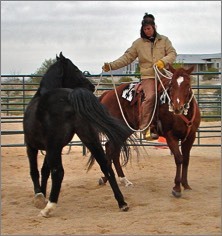 Shea will teach you techniques and maneuvers, but more importantly she will help you put a feel behind the techniques, and understand how to communicate better to the whole horse. Shea has the unique understanding of how to determine if the behavior is from a physical issue or a confusion in the horse. 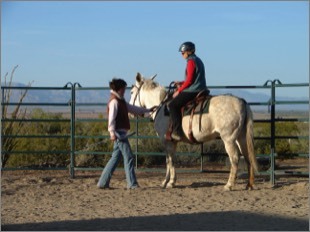 She has spent years rehabilitating horses mentally and physically and has a wealth of knowledge to offer owners. She has a very down to earth and simple approach that helps horse owners feel confident and secure. Shea has also started and re-started hundreds of horses under saddle for professionals and amateurs.